Proudly inspired by the bright red white and blue US flag colors, this fun American flag necklace accompany you from morning til evening! 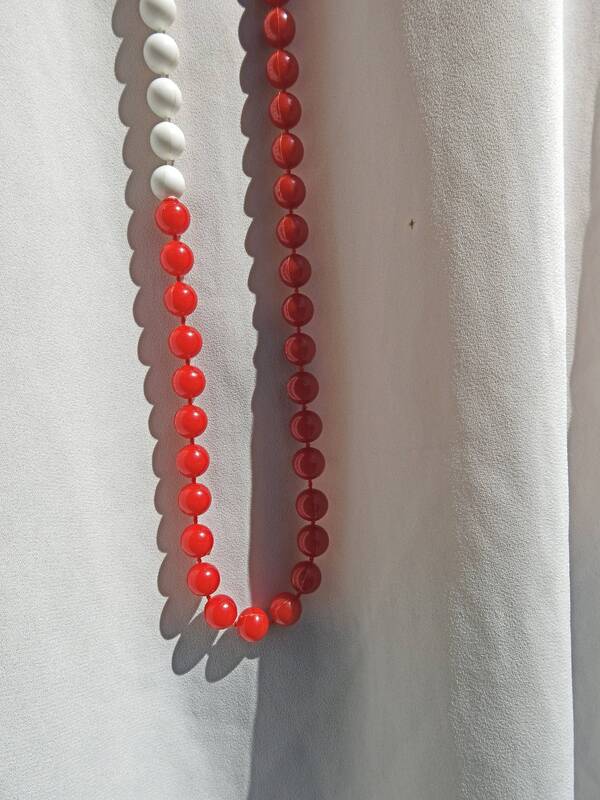 You will love this long beaded necklace for its simplicity. 25 in. necklace, or 50 in. if you measure all the necklace. 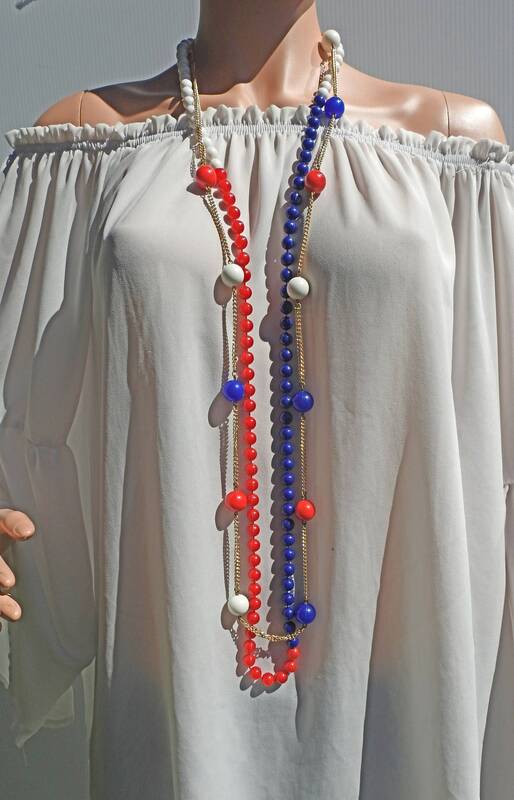 Thank you for exploring this long beaded US flag necklace for women!